You can love her or hate her, but you can certainly not ignore Barkha Dutt. While, there was a time when everybody wanted to be a Barka Dutt, today nobody think twice before shaming her for her outlook, views and opinions. When I was a kid I wanted to be a journalist like Barkha Dutt. Then I started doing stand up comedy. Same thing as it turns out. Yes, Aditi actually said that! And we couldn’t help but agree! B For Barkha, B for…. Barkha Dutt VS Arnab Goswami: When She called him a Chamcha &#038; he called her a Pseudo-secular! 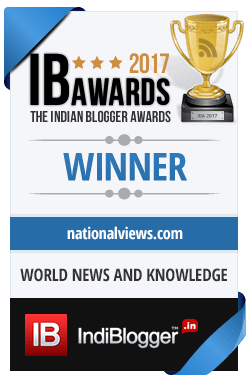 Editor’s note: NationalViews is a home for people with views and opinions that caters to the changing India.It is a place for the common men to articulate their views and opinions on any topic. A platform where you express and we publish. Mail us your opinion, views, and thoughts at editor@nationalviews.com and we will help you reach out to the masses.